Story Hoodline — Need more poke in your life? 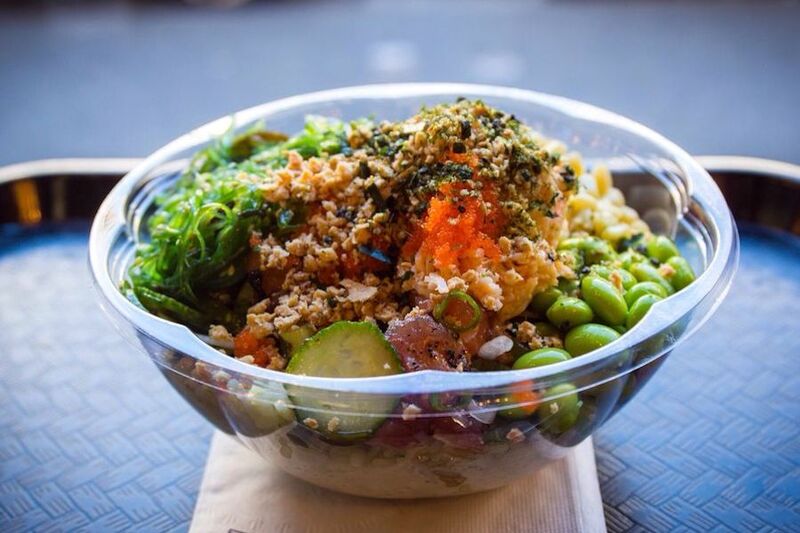 We found the top five poke spots in Seattle to satisfy your cravings. It’s hard to predict where you’ll find the best poke. Tucked in the back of a convenience store, 45th Stop N Shop & Poke Bar is the highest-rated poke spot in Seattle. Stop by and check it out at 2323 N. 45th St. (between N. Corliss and N. Sunnyside avenues) in Wallingford. Store co-owner John Chung says all the fish is delivered daily by a local distributor, and that the convenience store facade helps create an “in the know” quality, Eater Seattle reports. Next up is Belltown’s FOB Poke Bar, situated at 220 Blanchard St. (between Second and Third avenues). 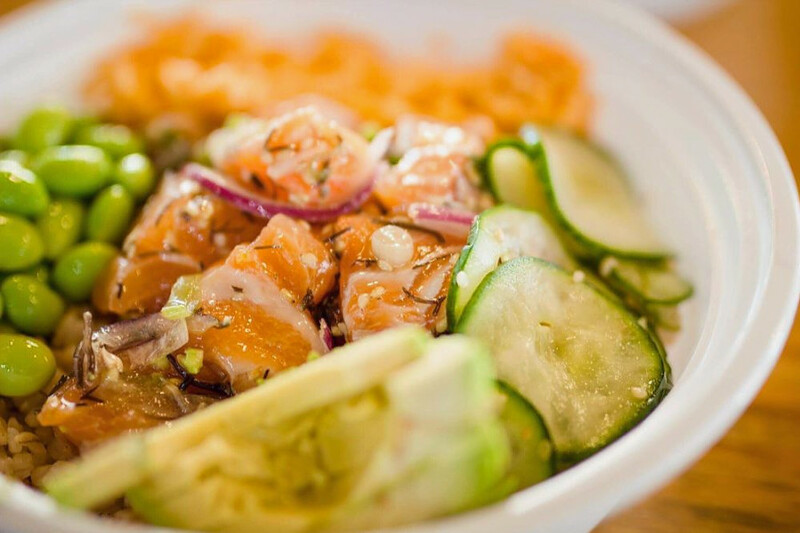 With 4.5 stars out of 504 reviews on Yelp, the Hawaiian spot, which offers poke and salads, has proven to be a local favorite. Similar to most poke spots, you can build your own bowl of fresh ingredients, but FOB Poke Bar also offers less common options, like beef tataki (lightly seared meat) and octopus. Fans rave about the affordable prices (starting at $9.99) and helpful staff. 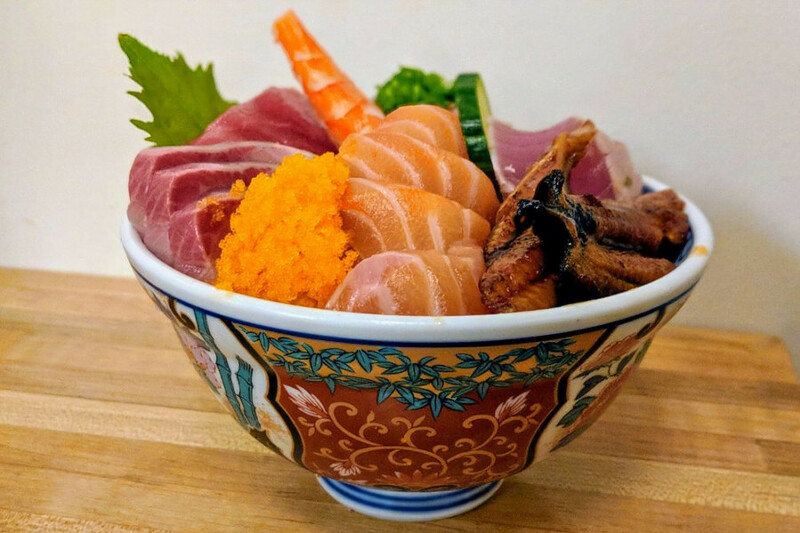 The International District’s goPoke, located at 625 S. King St. (between S. Maynard and S. Sixth avenues), is another top choice, with Yelpers giving it 4.5 stars out of 493 reviews. If it’s your first trip, try the classic goPoke bowl with ahi tuna, salmon and tako, and the Spam musubi appetizer. Dessert options include shaved ice, mochi ice cream and frozen pineapple whip. There’s also a children’s menu available. Over in Fremont, check out a fast-casual Japanese eatery that serves both poke and colorful chirashi. Fremont Bowl, which has earned 4.5 stars out of 173 reviews on Yelp, is located at 4258 Fremont Ave. N, Suite 4262 (between 43rd Street and Motor Place). 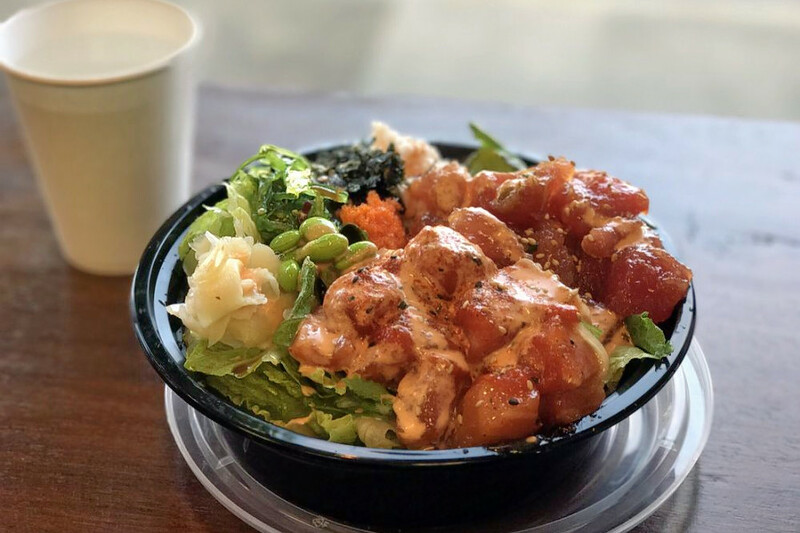 Offering salmon and tofu poke, the new spot specializes in donburi—meat, seafood, or veggies served in a bowl over rice—along with salads, soups and fast-food style sides. 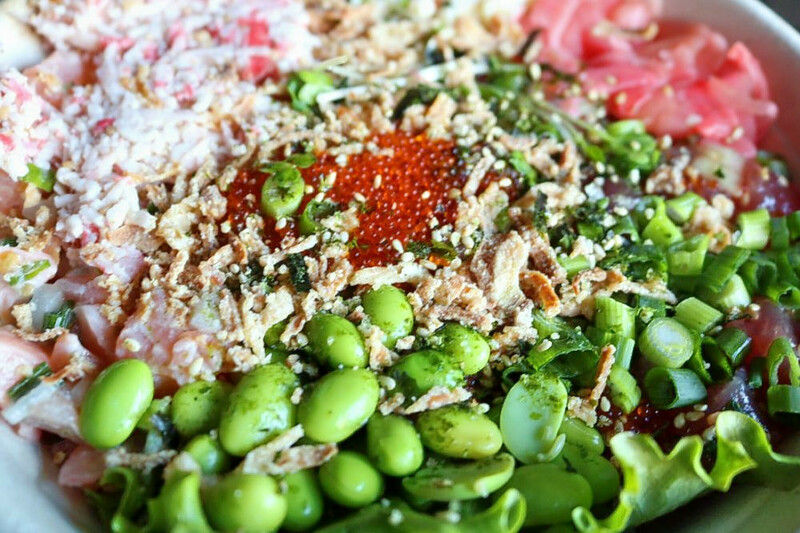 Finally, there’s Hiroshi’s Poke, a University District favorite with 4.5 stars out of 136 reviews. Stop by 4712 11th Ave. NE (between 47th and 50th streets) next time you’re in the mood for the popular Hawaiian dish. It’s built a loyal following, all due to what Yelper Sarah A. writes is “literally the BEST poke I’ve ever eaten.” Led by iconic Seattle sushi chef Hiroshi Egashira, Eater Seattle says hungry crowds keep coming for the poke spot’s large portions and friendly service.